I used the Peeking Cat for this card. I stamped it onto card stock and fussy cut it and colored it a bit. 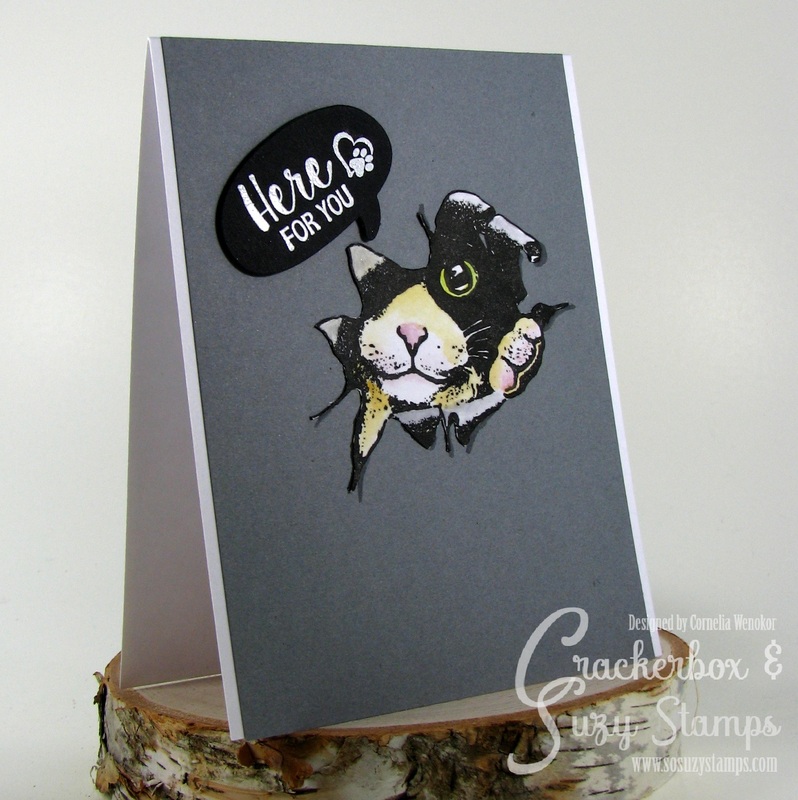 Added the sentiment and the little paw print, that I heat embossed and die cut. Added it with foam tape. Trimmed the grey card base and adhered it to white card stock. It is super simple to do. This is really impressive. Love that cat...what a cutie. Looks like one I had some time ago. Really like that you put it on a grey cardbase. Makes the image very impactful. Fabulous Cornelia, just love it. 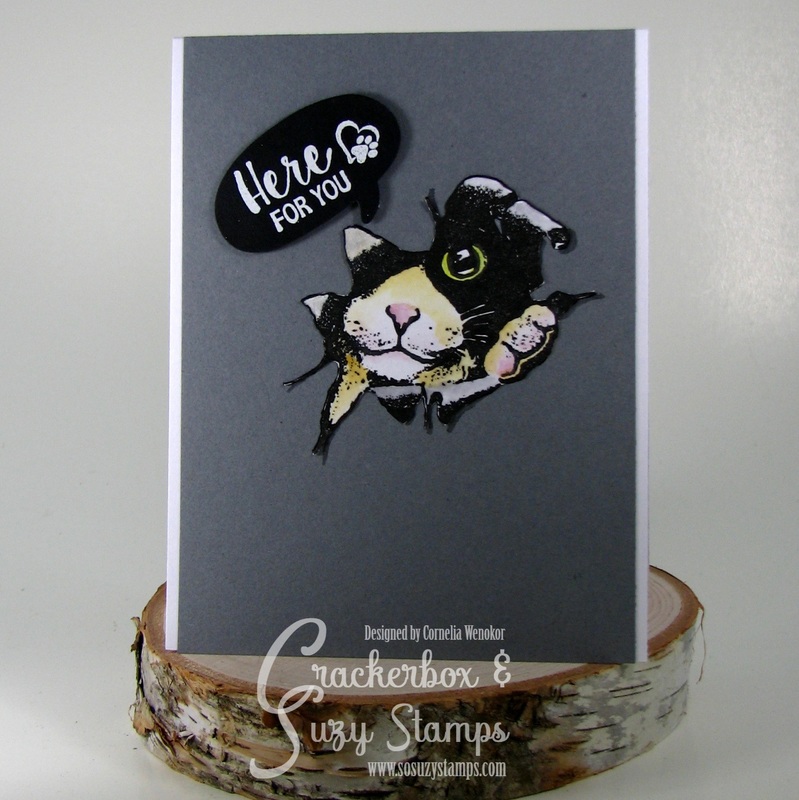 That stamp is brilliant, I think I will come visit and just stay in your craft room for a month or two and you can just send meals in every now and then as I work my way through your amazing stamps and sentiments collections. Sieht aus, als wenn unsere Pauline da hindurch lugt. Tolle Karte! !